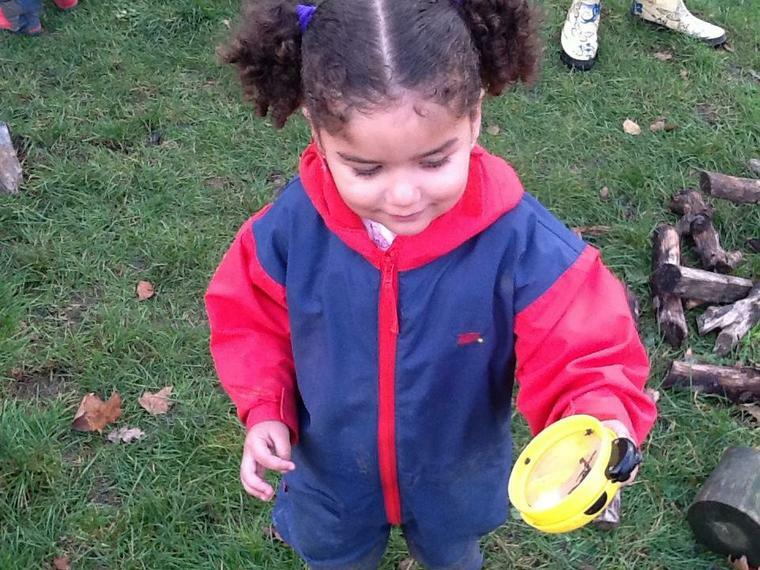 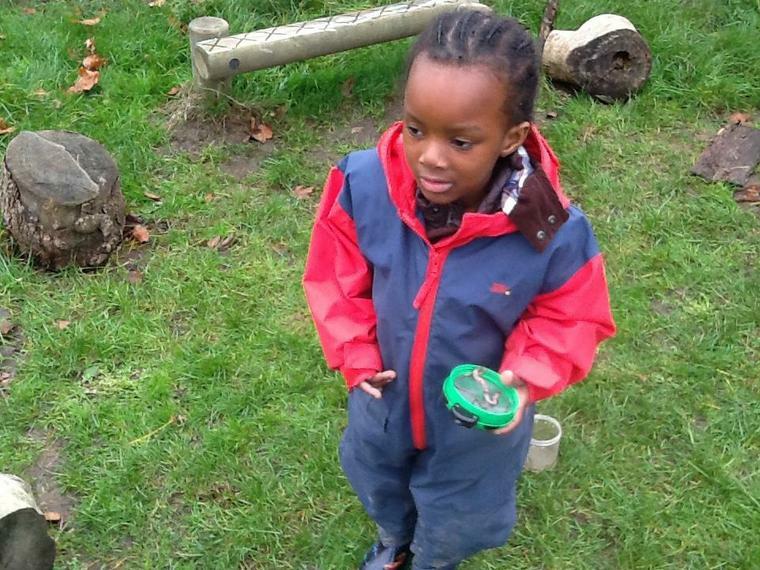 We have been enjoying our Forest School sessions this term. 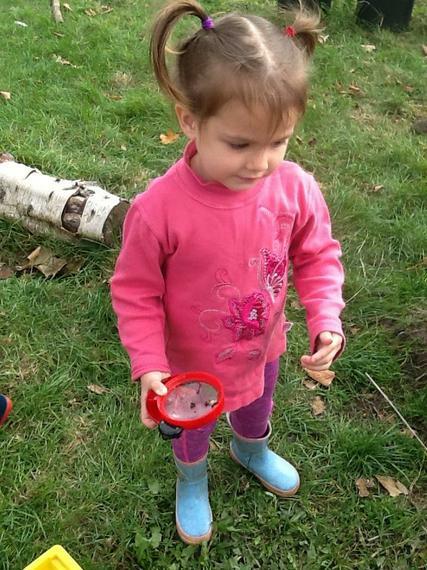 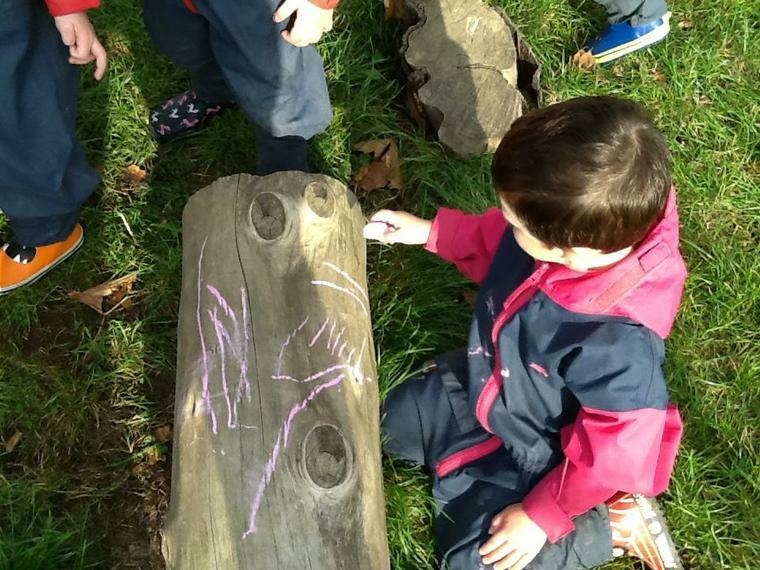 We really enjoy looking for mini beasts under the logs and making marks using the chalk. 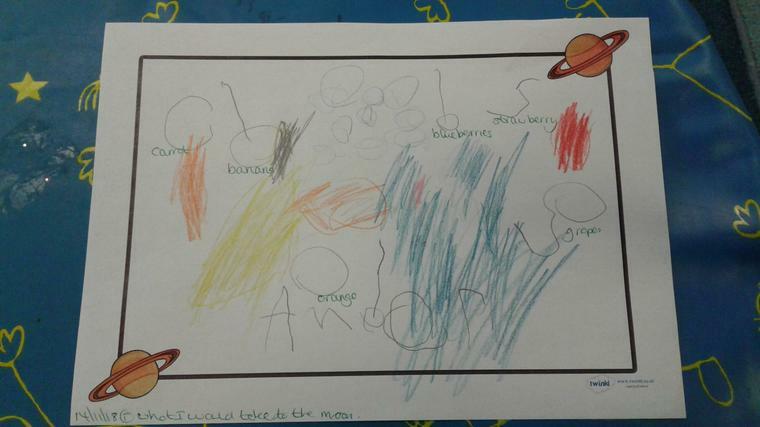 We are reading 'Whatever Next' and learning all about space. 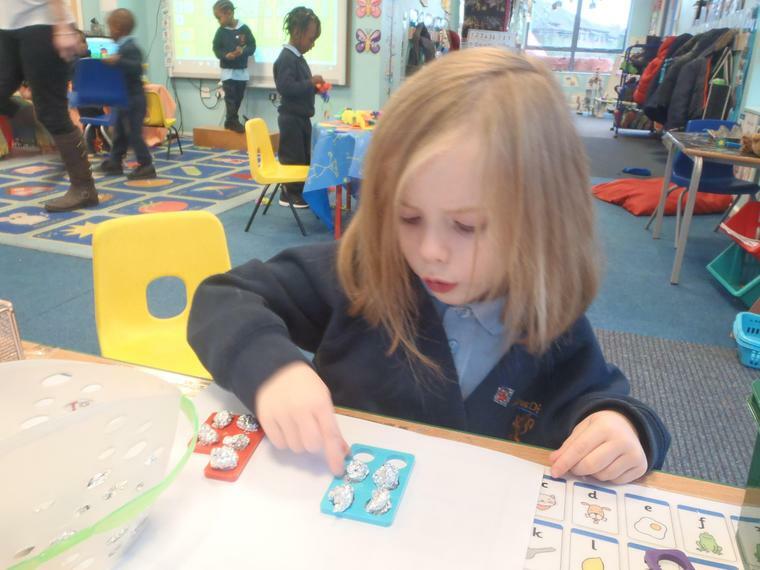 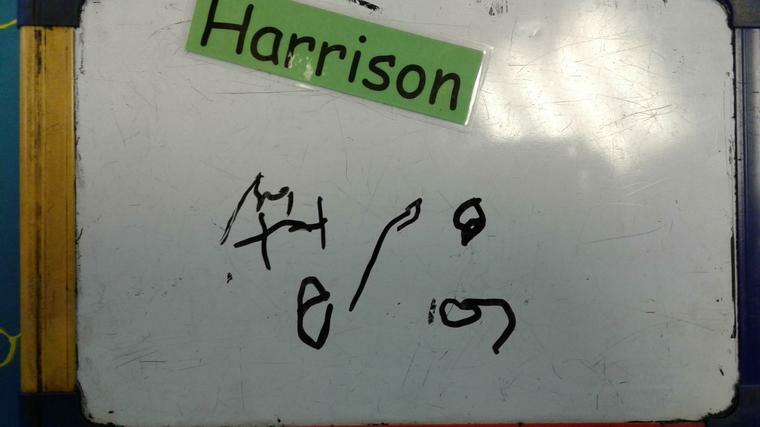 We are learning to count objects. 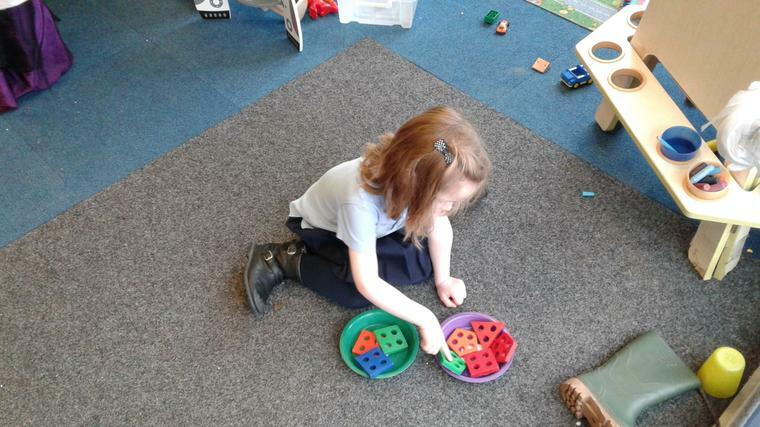 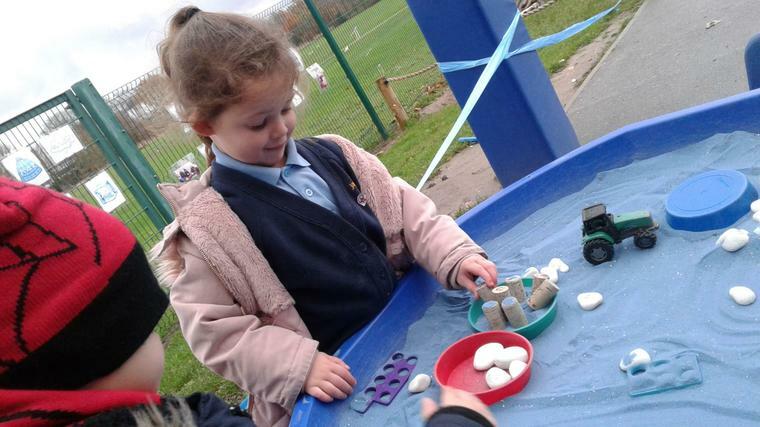 We placed the moon rocks onto the numicon plate to find out how many holes there were. 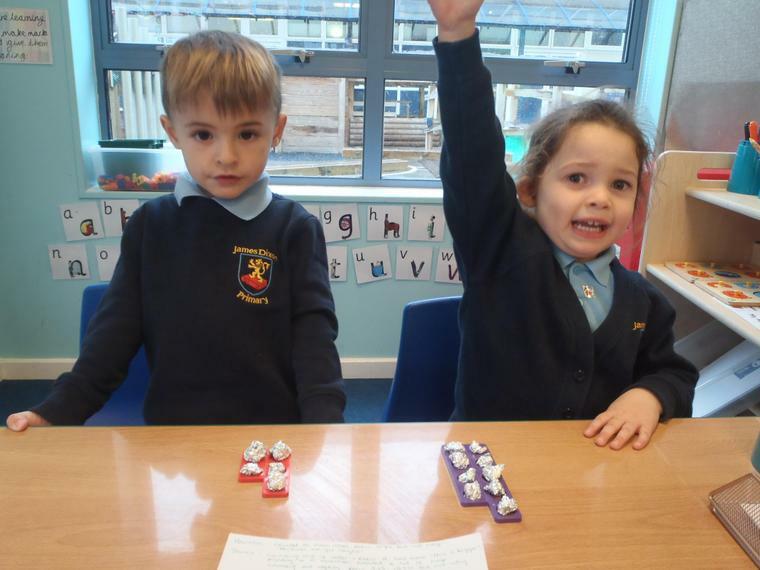 We then compared the amount with our friend and said who had more. 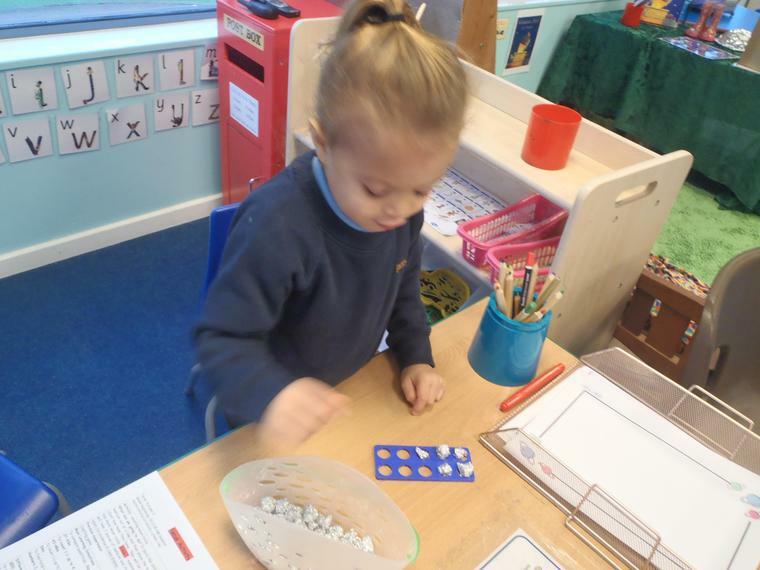 We are also learning to add by counting how many moon rocks we had altogether. 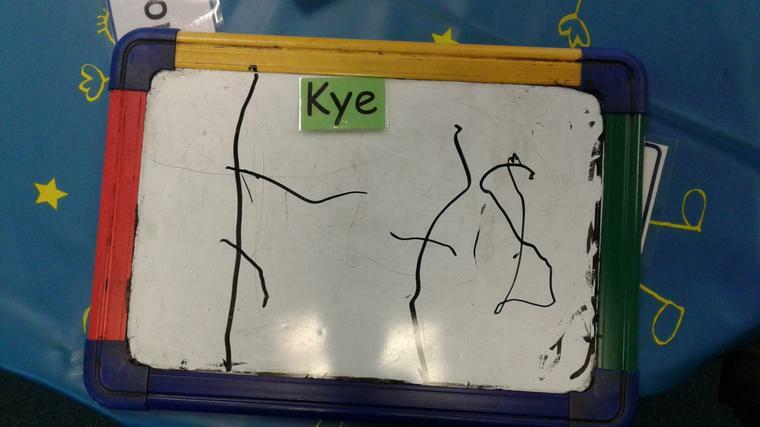 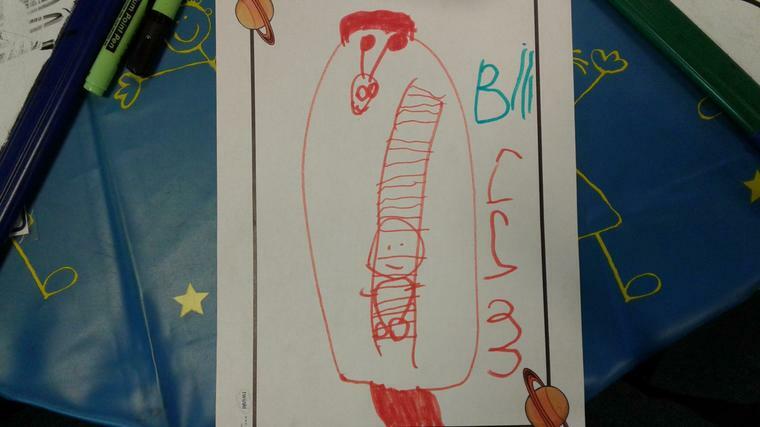 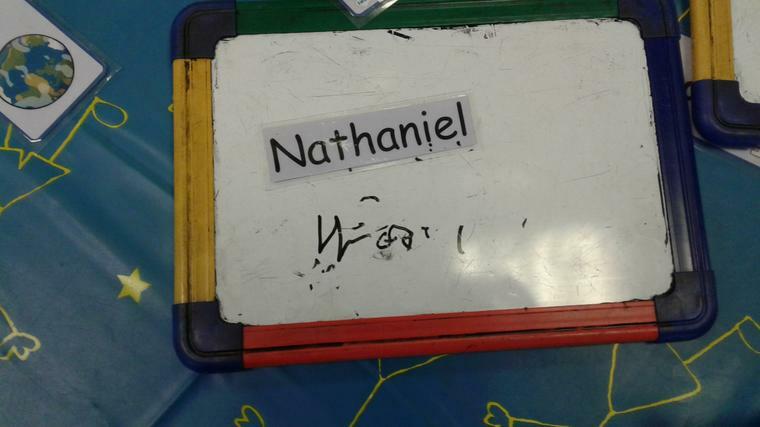 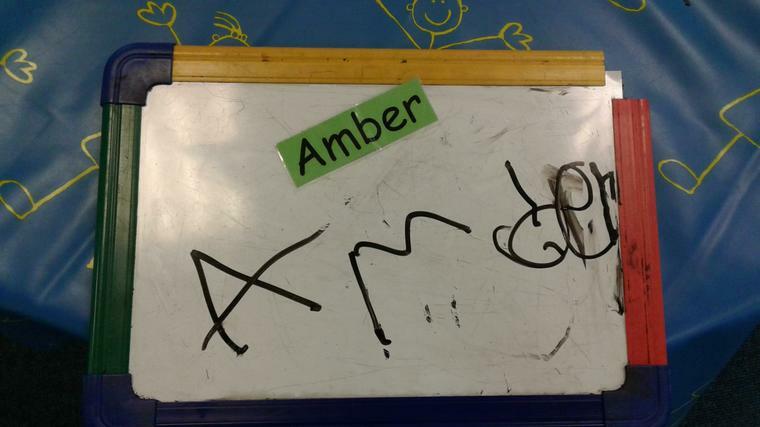 In Preschool we are learning to give meaning to the marks we make. 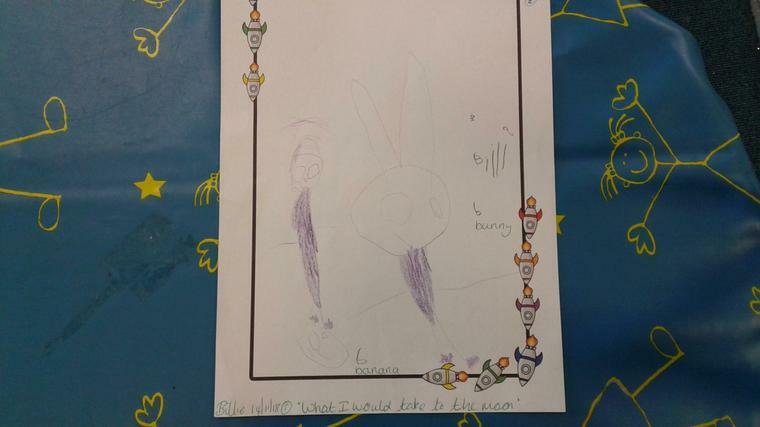 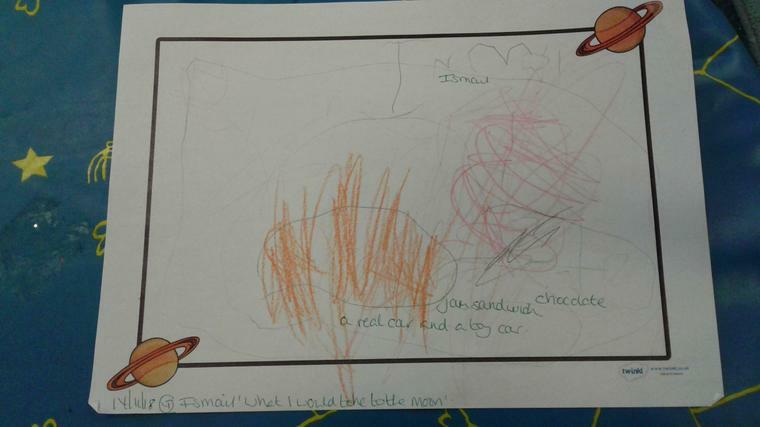 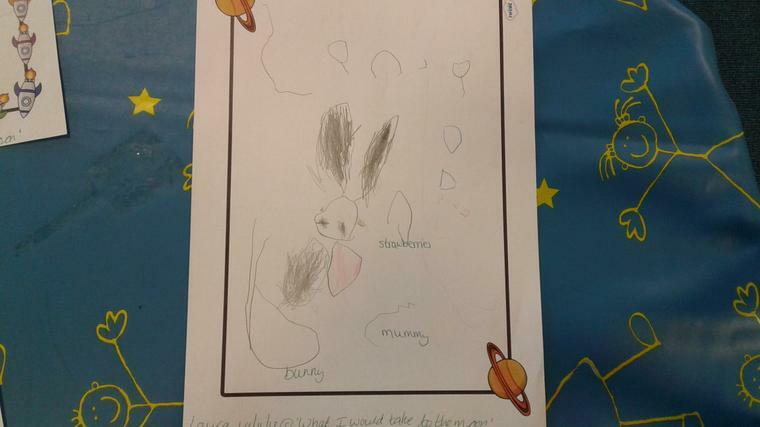 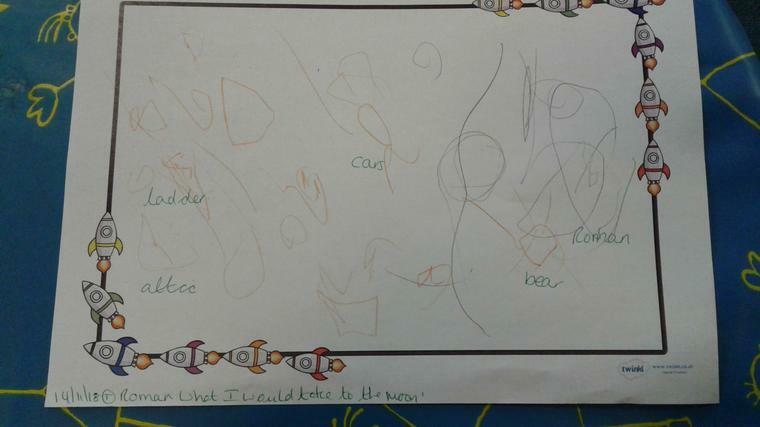 After reading Whatever Next we drew pictures of what we would take with us if we went to the moon like Baby Bear in the story. 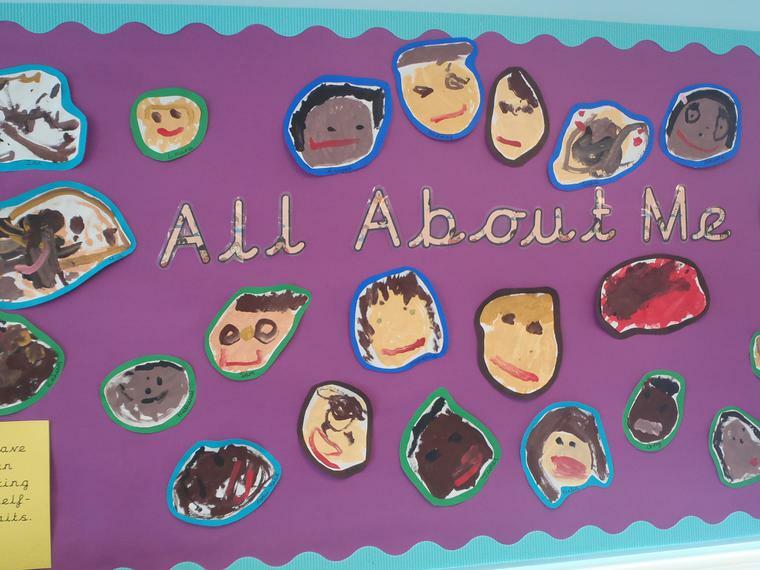 This half-term we are learning all about ourselves. 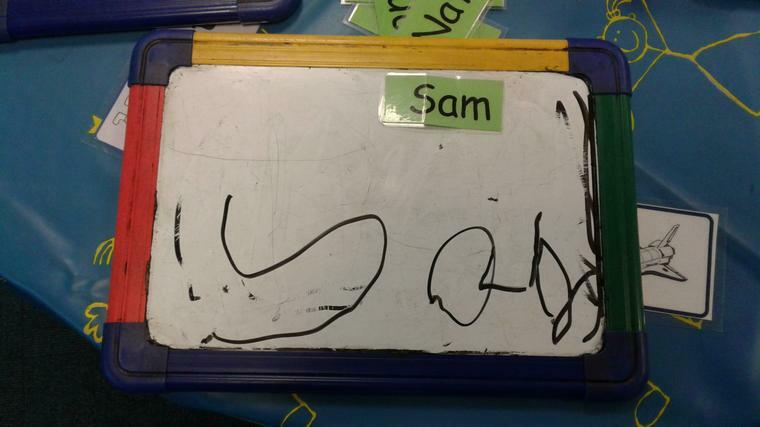 We have painted our self-portraits and begun to think about different feelings. 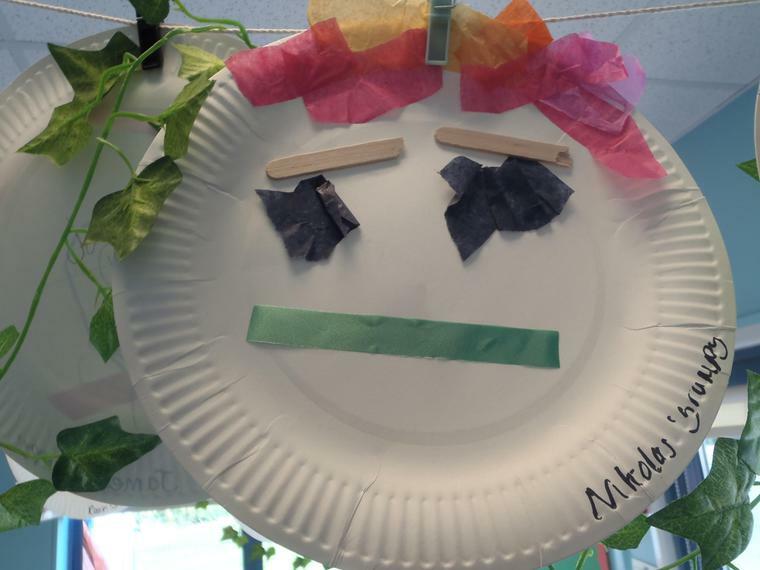 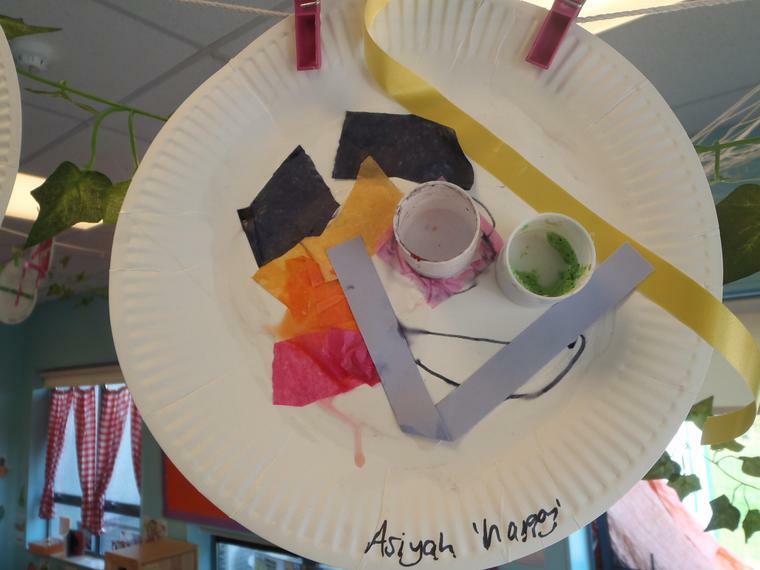 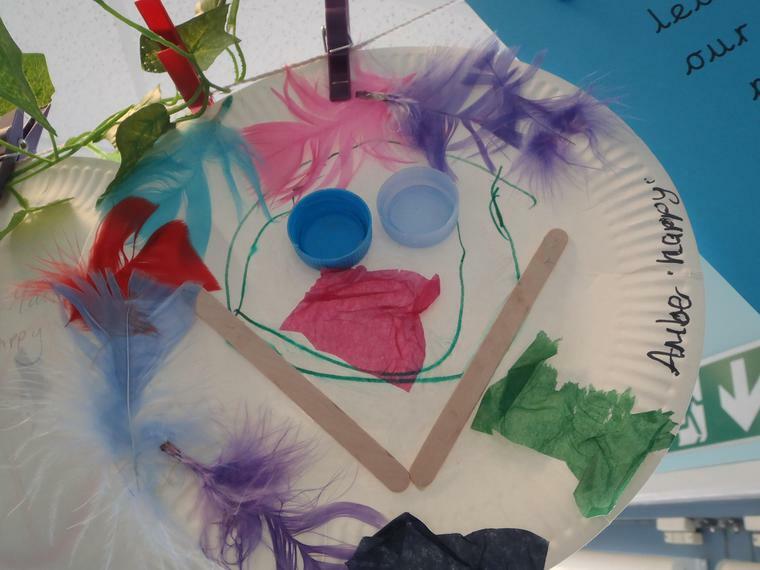 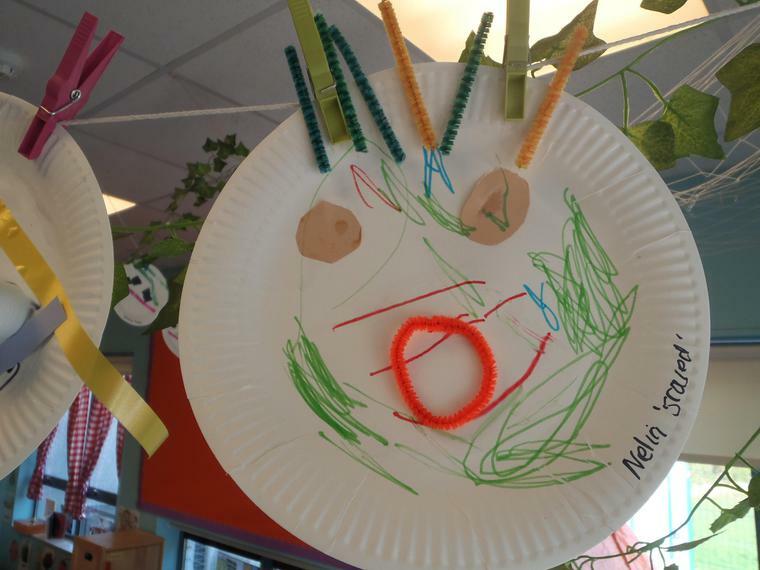 We made paper plates to illustrate some of them.